Offering you a complete choice of products which include din rail type rtd two wire transmitter and field mount type rtd two wire transmitter. We offer extensive range of Din Rail Type RTD Two Wire Transmitter. These are manufactured from high grade of material using modern technology. The modular design allows for maximum flexibility in meeting customer's applications. These are High precision, durable and compact turbine flow meters. Field Mount Type RTD Two Wire Transmitter (Model 871). Being X’mitter, these low power components are designed over low drift, low power components. 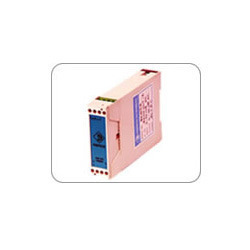 These offered products provide 4-20mA DC signal on the same two wires, that carry the 24 V DC. The 4-20 mA DC signal is corresponding to the temperature measured by the RTD elements at the input of 2-wire transmitter. 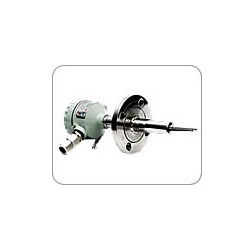 These products are accurately give temperature measurement with RTD’s. Furthermore, these provide a current output signal of 4 – 20mA DC in a two wire loop, efficient of driving a load of upto 650° thereby eliminating need of compensating cable or three core cable between the field and control room. Our products can be calibrated throughout the range of RTD. The output is linear depends temperature for RTD input. Looking for RTD Two Wire Transmitters ?